If you always feel like there's not enough time in the day to get everything accomplished -- and we certainly do! -- this is the resource that can help change your workday and your life. Filled with insights into how the most successful people manage distractions, fight procrastination, and optimize their workspace, Successful Time Management For Dummies, 2nd Edition provides an in-depth look at the specific steps you can use to take back those precious hours and minutes to make more of your workday and your leisure time. If you're looking to take back your time and ramp up your productivity, this resource will help get you there in a hurry. 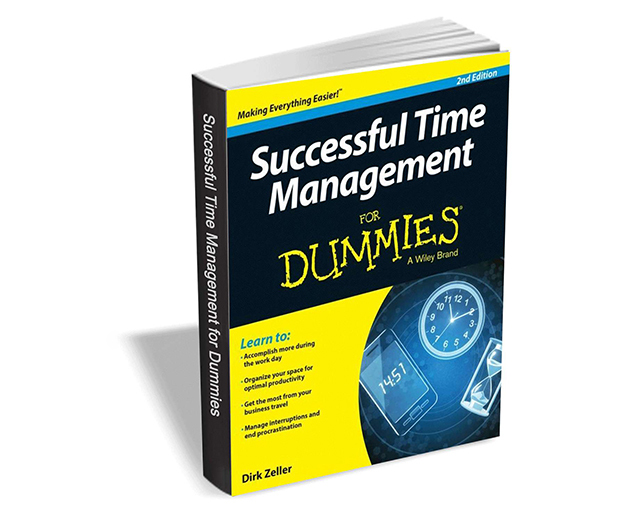 Successful Time Management For Dummies, 2nd Edition usually retails for $12, but BetaNews readers can get it entirely free for a limited time. The offer expires on August 29, so act fast.